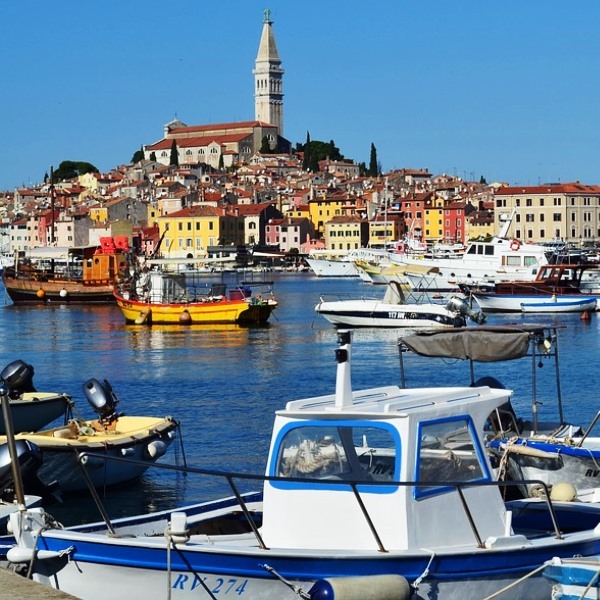 Let us take you to an unforgettable tour trough Istria’s most popular towns. You will experience intensive weekend of rich history, traditional gourmet meals, unforgettable stories from our guide and overall the best Istria can offer. Day 2: Start at 09:00 Excursion to Pula. Pula is to Croatia what Rome is to Italy. There’s no hiding the city’s main attraction – an enormous Roman amphitheatre. Reminiscent of the Colosseum in Rome, just wandering around its mighty Roman walls conjures images of gladiators doing battle in the dust. It’s the biggest theatre of its kind in the world. Guided tour of Pula city centre and famous roman amphitheatre. Drive to Poreč through Istrian countryside, stopping along the way for lunch in one of the authentic local taverns. Visit to Poreč city centre and Euphrasian Basilica, a UNESCO Heritage site. Return to hotel at 19:00. Free time for a night walk along the shore. Day 3: Enjoying a morning walk and coffee in Rovinj city centre. Transfer to airport.